The Knicks have used their $3.27 million Taxpayer Mid-Level Exception on big man Jason Smith. Smith, 28, played for the New Orleans Pelicans last season and averaged 10 points, 6 rebounds, and 1 block in 27 minutes per game. The 7-foot, 240 pound Smith is one of the game’s top mid-range shooters and a capable team defender, help defender, and shot-blocker (although he can be beaten in 1-on-1 situations). Smith is also a 78% shooter from the line. 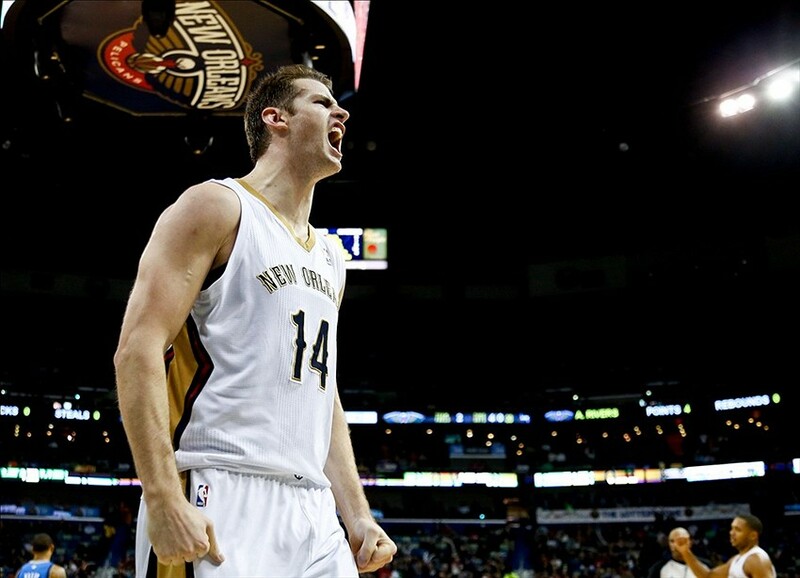 Smith was the Pelicans’ starting center until he went down with a knee injury in January. He has a chance to get some big minutes on this Knicks team, but he will likely have to compete with Amar’e Stoudemire, Andrea Bargnani, Samuel Dalembert, Jeremy Tyler, and Cole Aldrich. This signing likely spells the end for Kenyon Martin’s time in New York. Smith should fit well in the Triangle Offense, in which bigs who can shoot fare far better than your typical slow, lumbering, mass-cultivators. With Smith, Bargnani, and Stoudemire, the Knicks have 3 bigs who can shoot the mid-range jumper. Smith is by far the best defender of the 3, although less of an offensive threat all-around than Bargs and STAT. The Knicks had been reluctant to use their MLE because they often end up being multi-year deals, but New York was able to land Smith on a 1-year deal which will not eat into next summer’s cap space. RealGM was first to report. This entry was posted in Articles and tagged Jason Smith, jason smith knicks, jason smith knicks contract, jason smith scouting report, KNICKS, knicks blog, KNICKS MEMES, knicks mid level exception, knicks mle, Knicks news, knicks rumors, nba news, new york knicks, tommy rothman knicks on July 15, 2014 by Tommy Rothman. …and no one who likes to rebound.